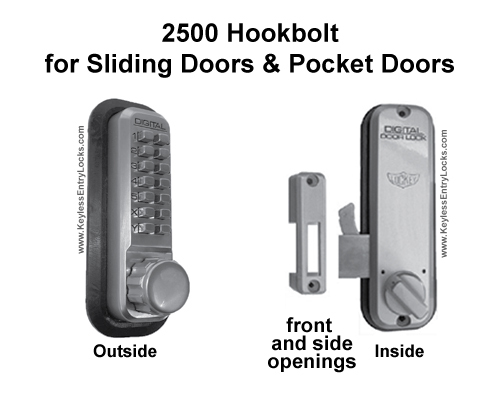 The Lockey 2500 Hookbolt Lock is a keypad lock for a sliding door, a pocket door, a sliding gate, a wall door, or any sliding panel that needs a hook-type mechanism to secure and lock it. 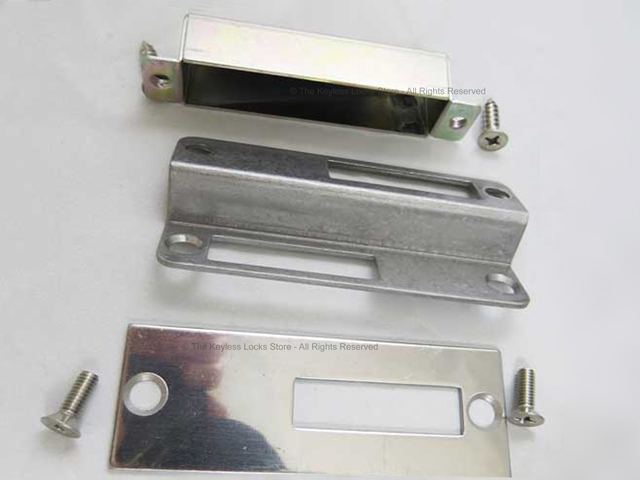 DOOR/GATE TYPE: Locks for sliding doors/gates made of wood, vinyl, or metal; Locks for sliding doors/gates on cabinets, patios, sheds, etc..
LOCKS FOR ...: (economical locks designed for residential/light commercial use with fewer features, fewer users, and light traffic); (weatherproof locks for gates with rectangular (not round) posts like on sheds, barns, and other structures, etc.). 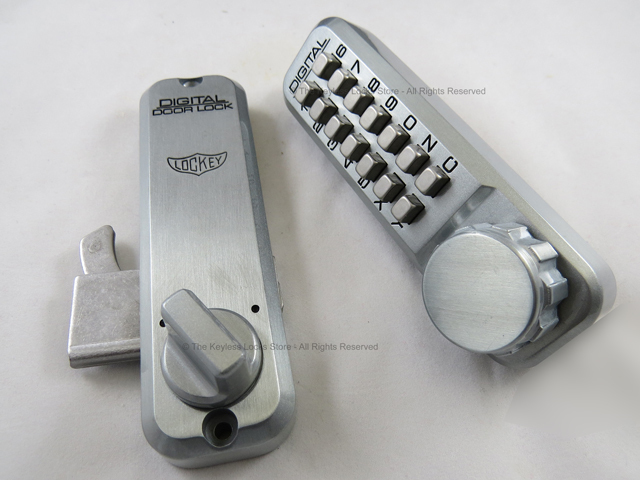 The hook mechanism of this combination lock rotates and catches on the strike plate/catch when the knob is turned to the locked position. 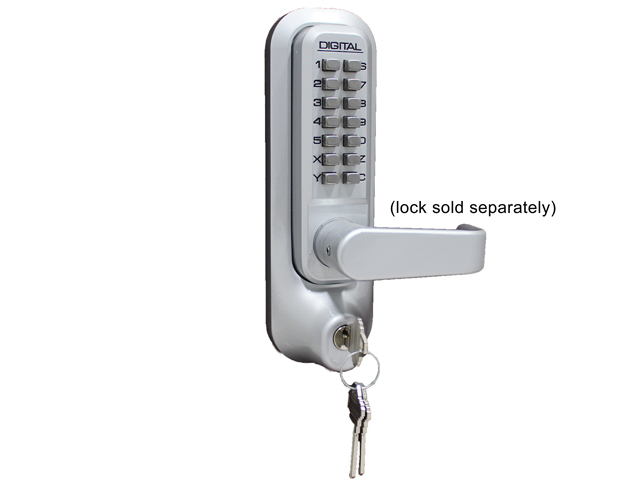 This versatile keypad door lock works on doors that slide open in either direction and on pocket doors, too. 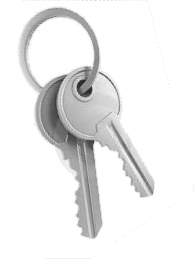 It can be ordered with a key override. 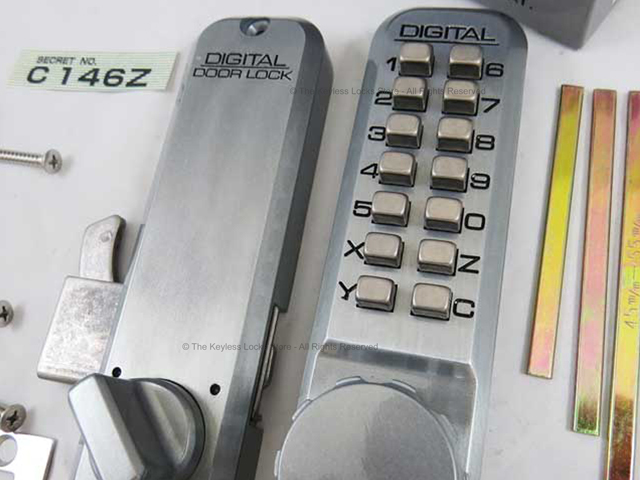 It is not available with a double-sided keypad. 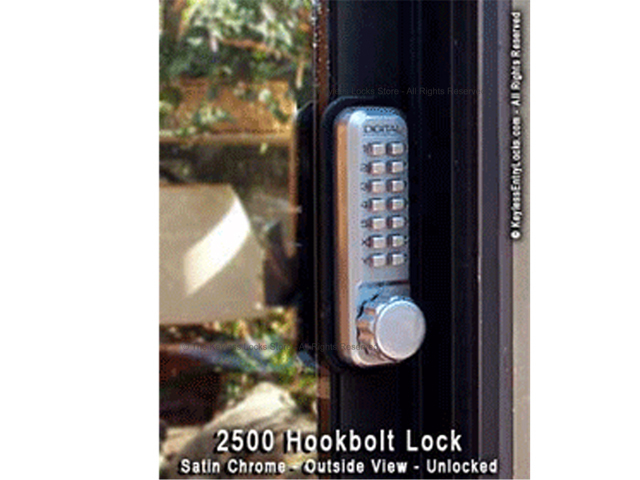 For a double-sided lock, try one of our other hook door locks. 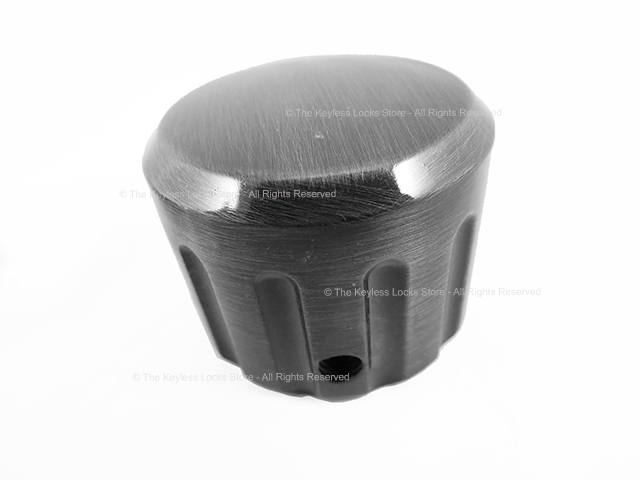 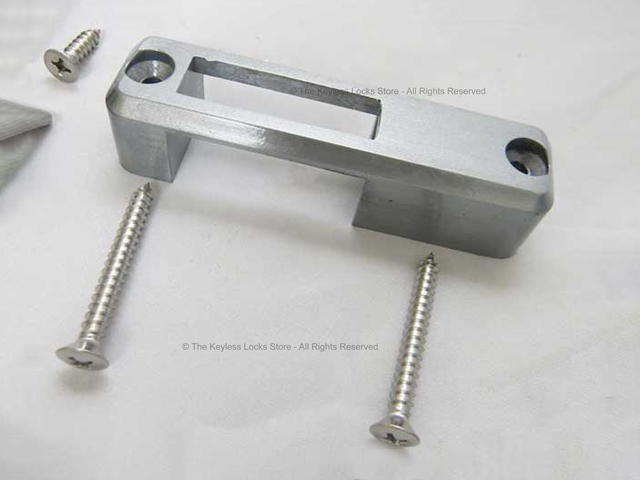 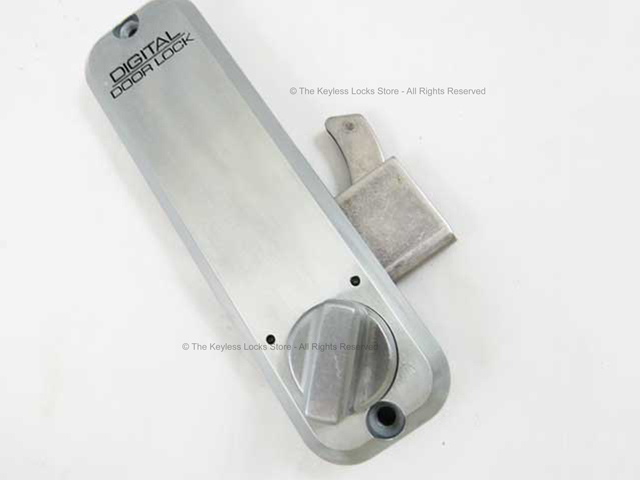 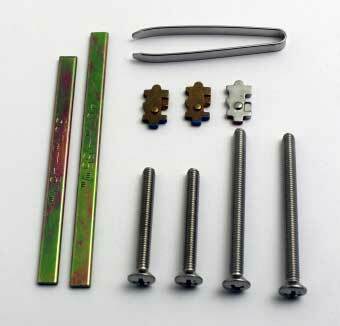 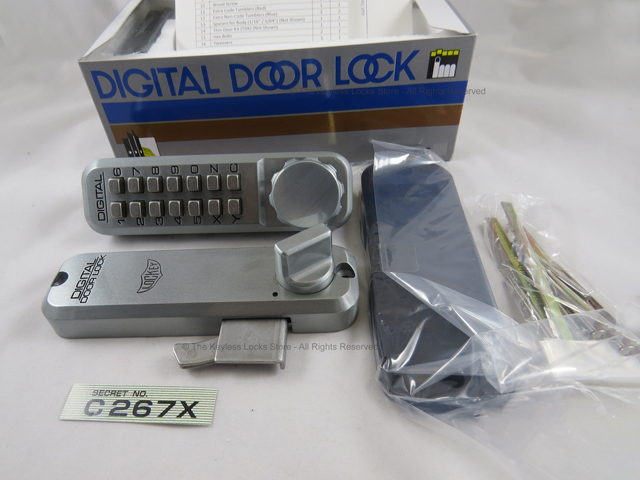 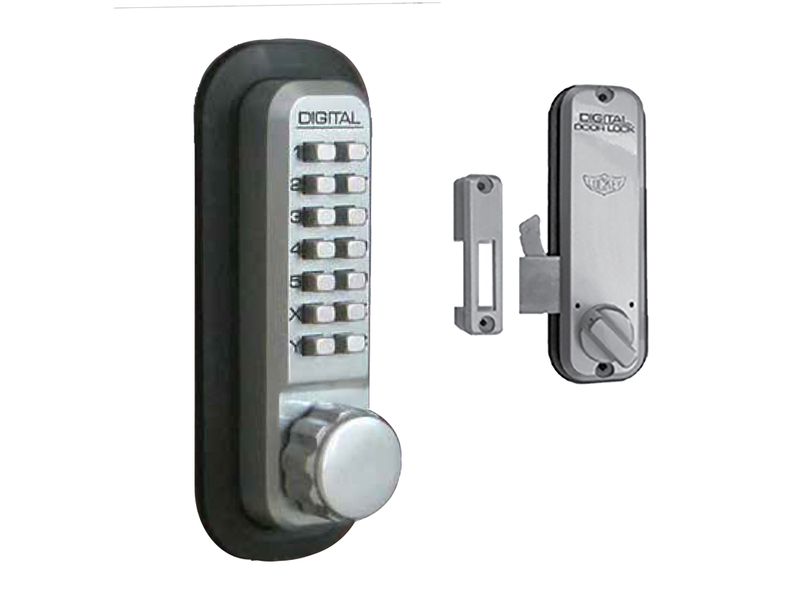 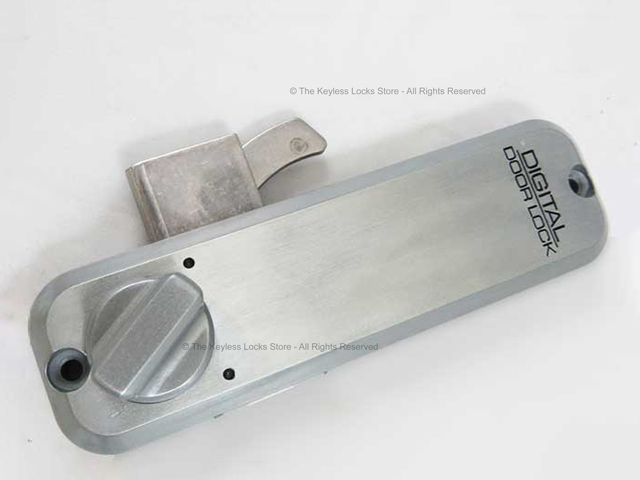 We also carry replacement lock bodies for the inside and outside of this surface-mount lock. 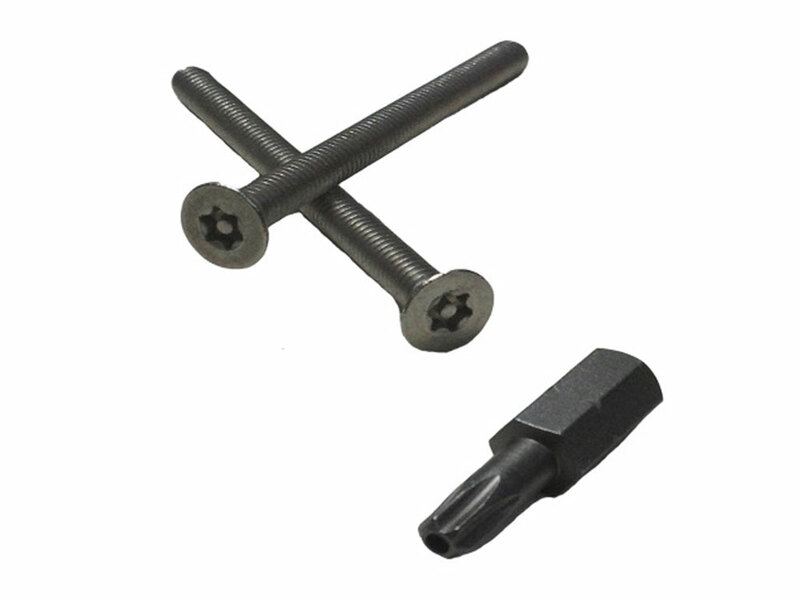 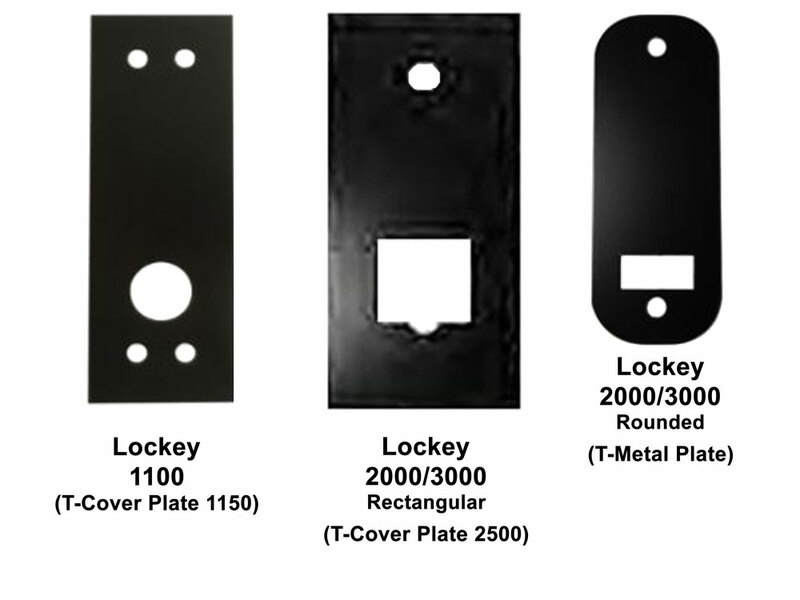 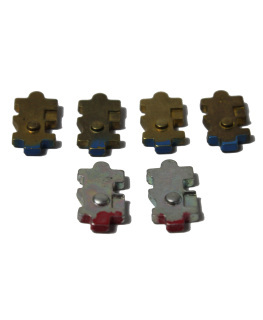 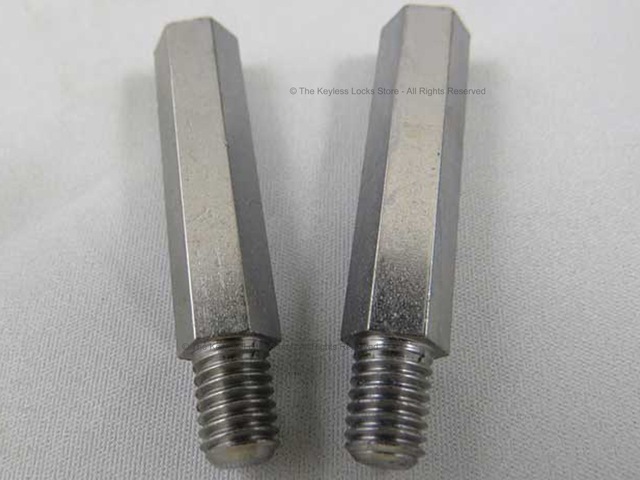 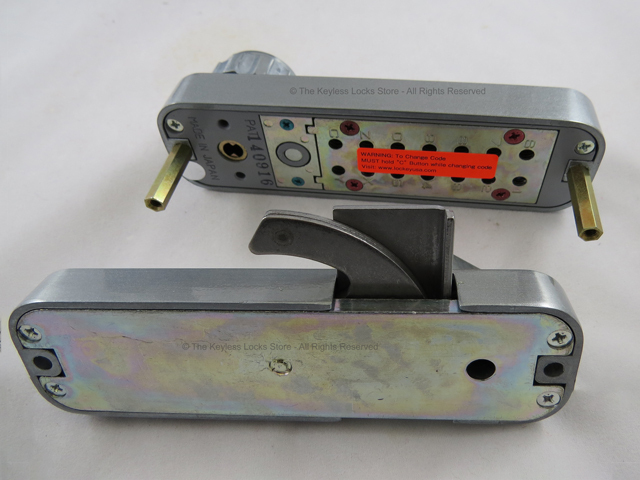 For inside replacements, view our Lockey replacement lock bodies. 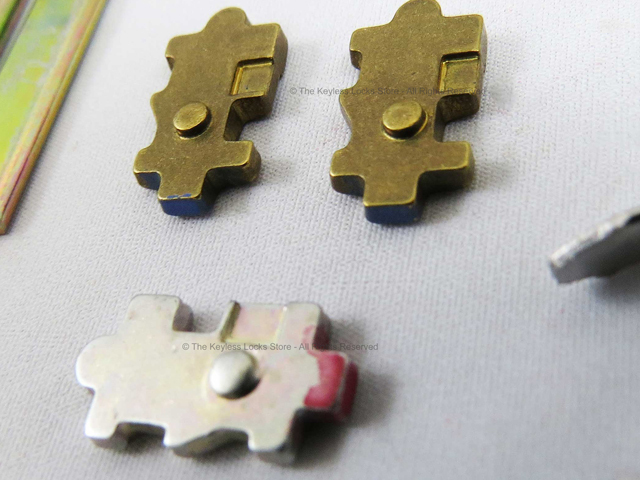 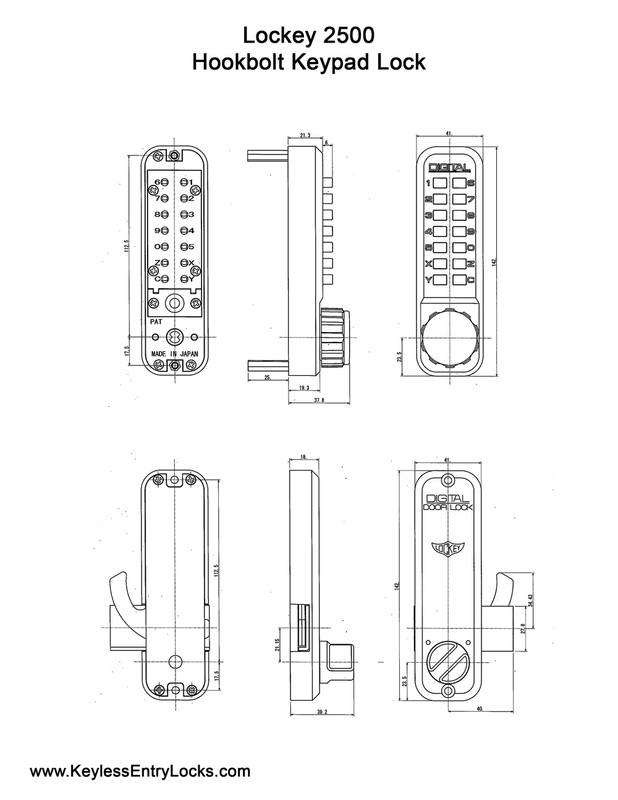 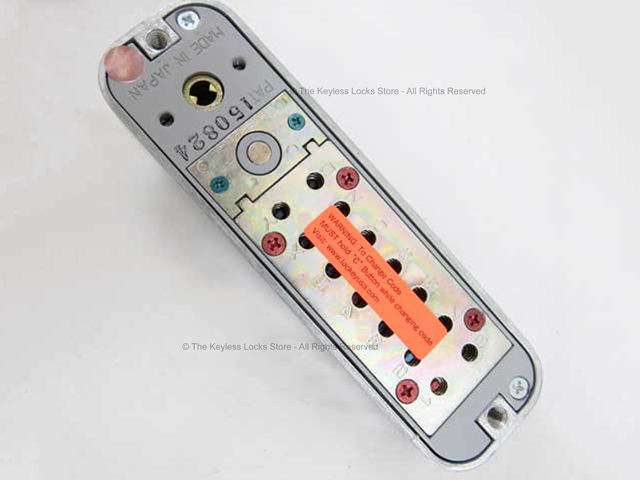 For outside replacements, view our keypad lock bodies. 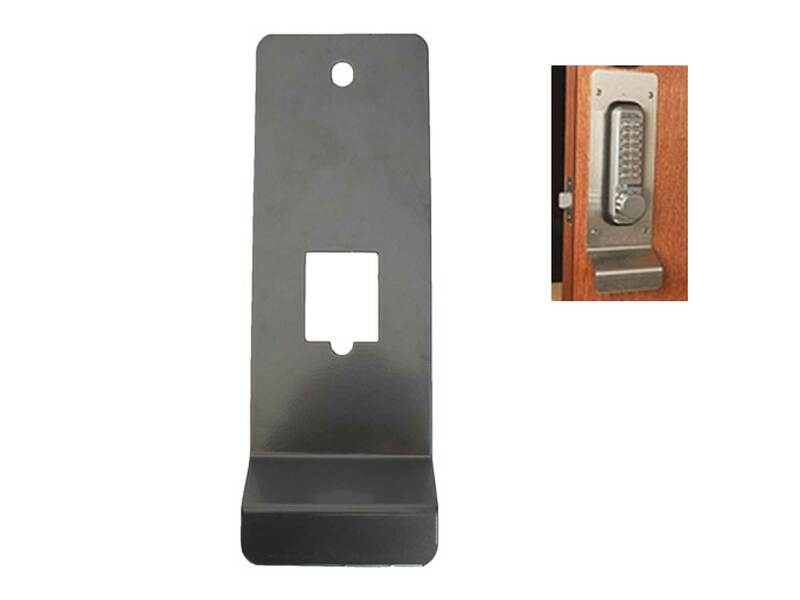 USE WITH THE MANUFACTURER'S BUILT-IN SLIDING DOOR LOCK: The most common configuration is to leave your existing lock in place and install this sliding door keypad lock either above or below it. 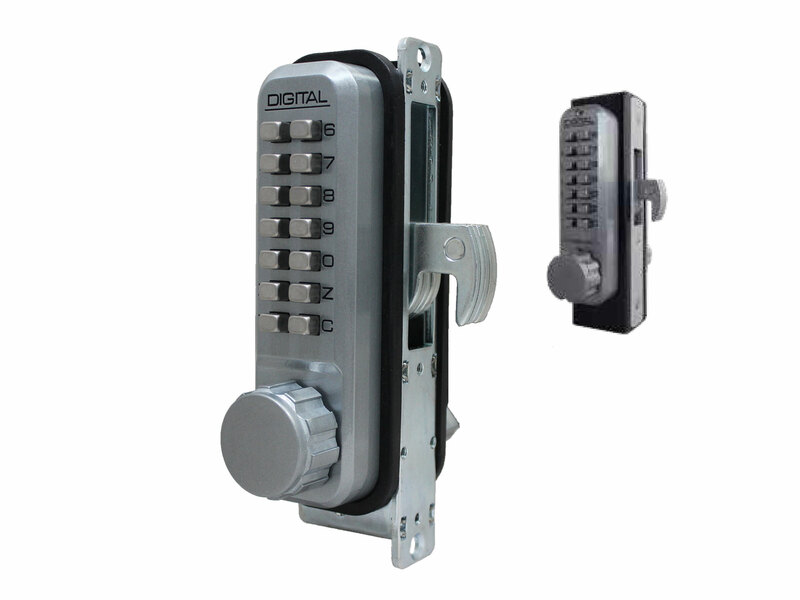 That ensures you will have a large, strong handle to pull your door open/closed and it also gives you added security. 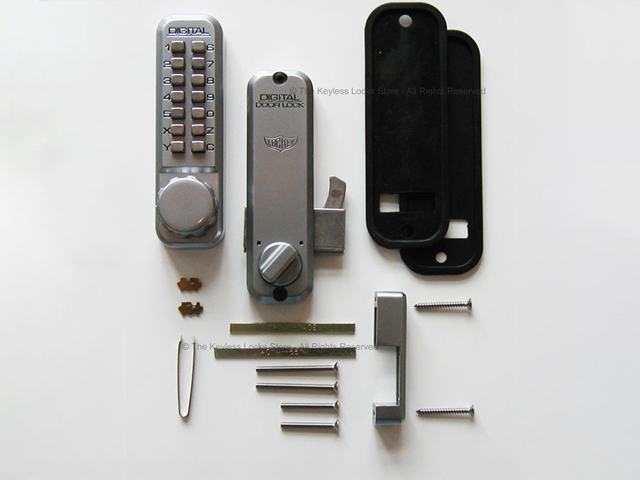 Also, sliding glass door locks come in many sizes and shapes--it can be difficult to find a keyless lock that will fit in the existing holes in your door. 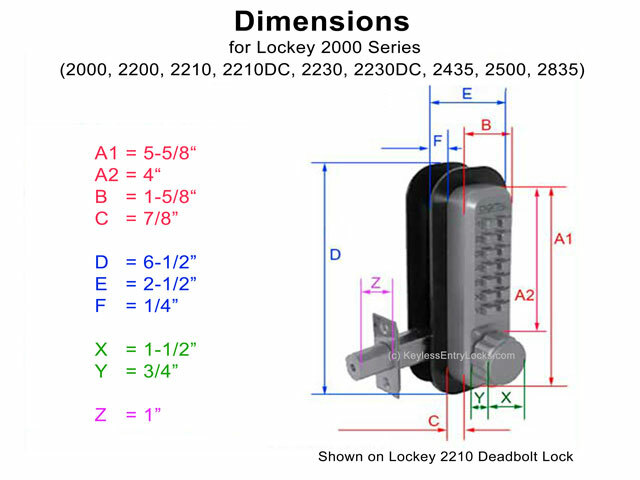 It can be mounted flat on the frame (i.e., in the same plane as the door), as shown in the diagram below. 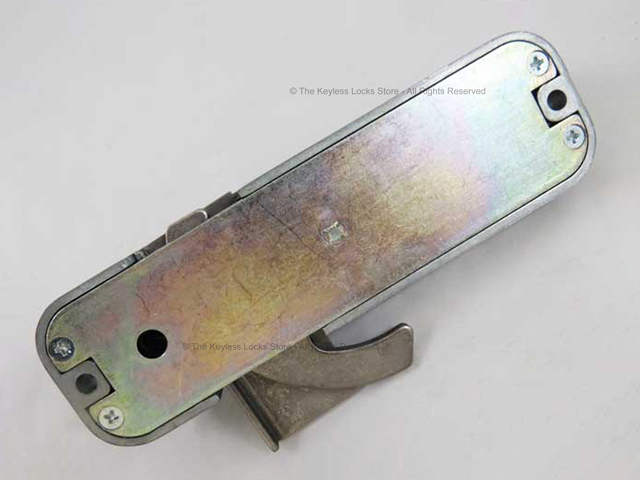 In this case, the lock's hook will go into the opening on the side of the catch. 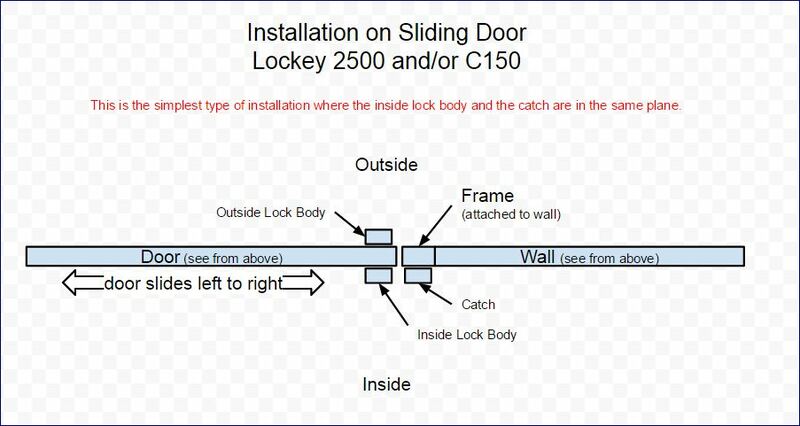 Or, it can be mortised into the wall (i.e., perpendicular to the plane of the door). 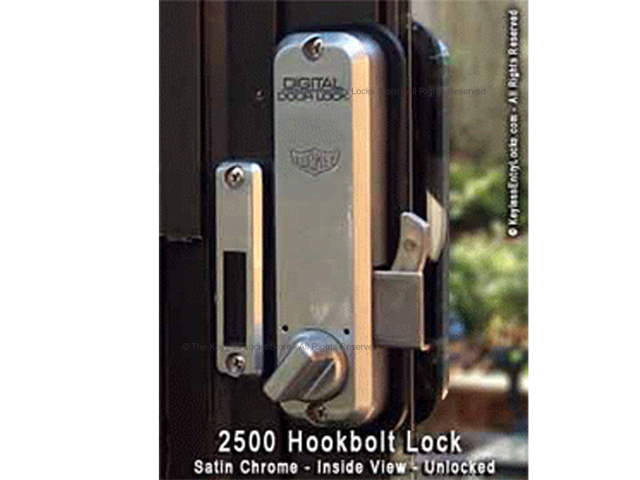 In this case, the lock's hook will go into the opening on the front of the catch. 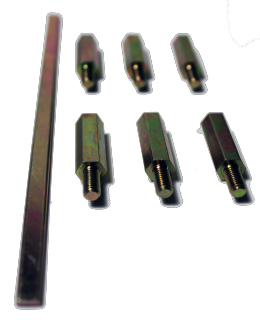 A SIMPLE CONFIGURATION: Here is a diagram of the simplest type of installation (descirbed in #1 above). 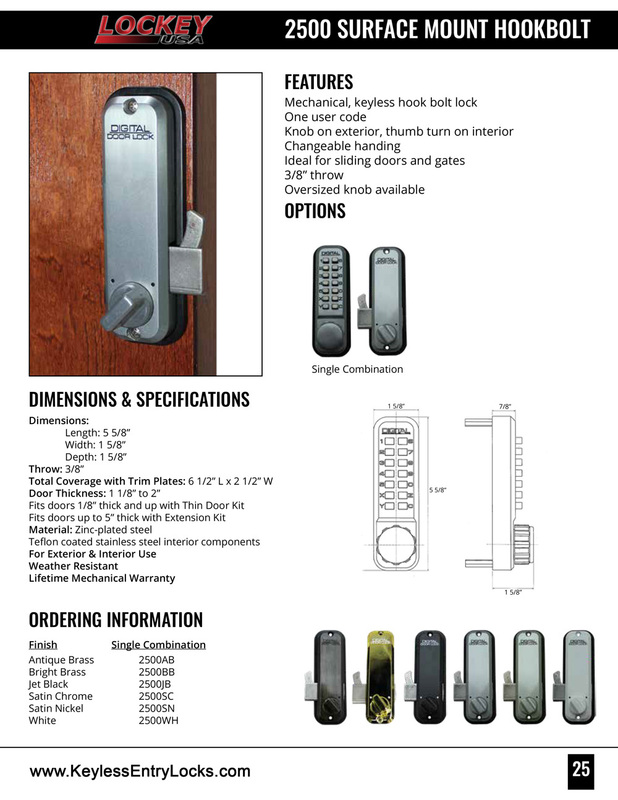 INSTALLATION INSTRUCTIONS: Click to view the Installation Instructions that come with each purchase. 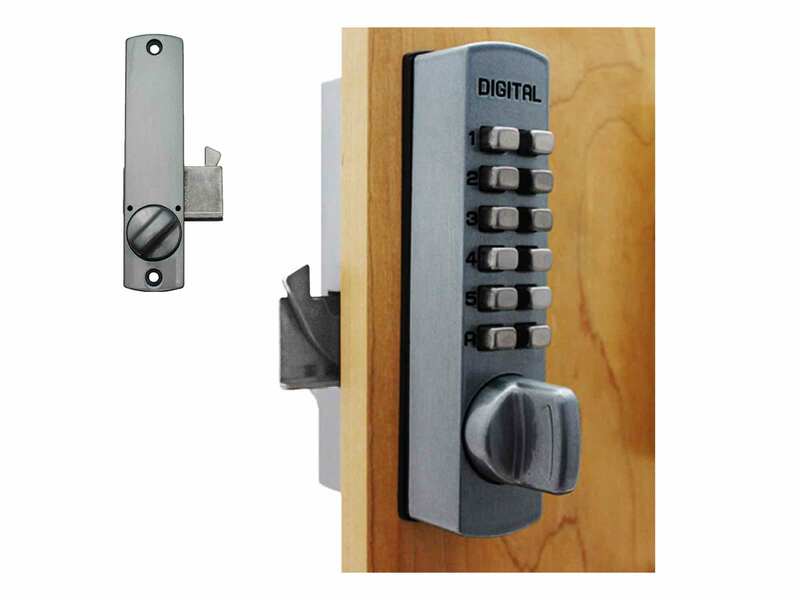 Just turn the knob, lever handle, or thumbturn to extend the deadbolt of this surface-mount lock into the locked position. 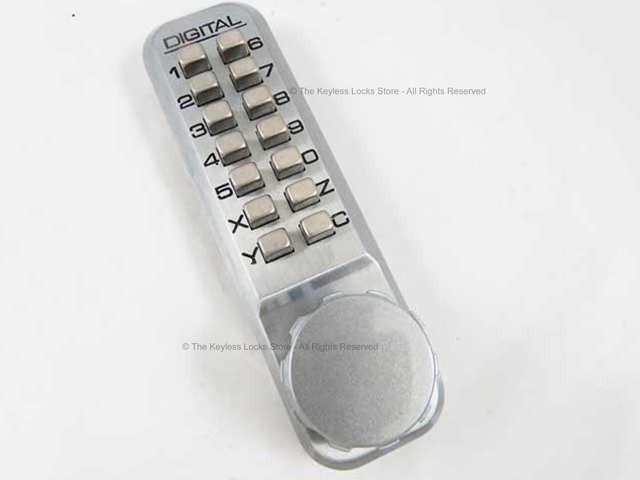 You don't even need to enter the code. 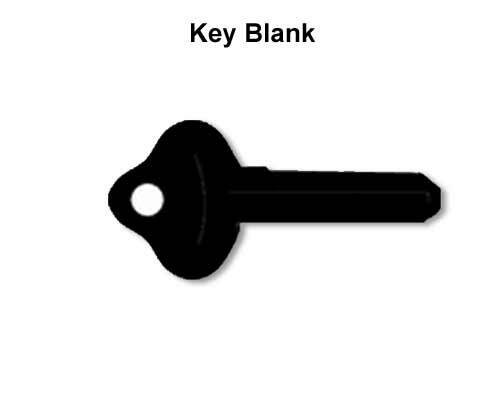 It is so easy, once you've tried it, you'll wonder how you lived without it!